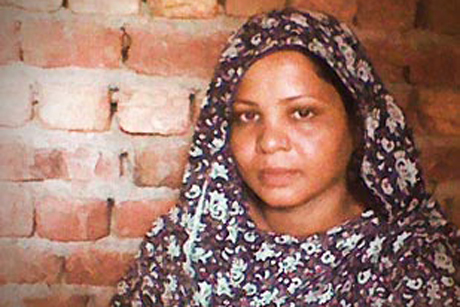 I can tell you heaven and earth about Asia Bibi's rights as a women, mother and human. But you have heard that already. However, I'd like to talk about your place in making these rights real and true in her case. I am a Nigerian student of human rights, and I know the place of culture, history and faith in giving these rights scope and structure. I also know that it varies remarkably across seas and borders. But one thing never changes, the peoples will to decide for themselves , their will to survive. But we are not the same, so we fall into fractions. Some times we also fall into minority. For some of us, this happens all the time. For Asia Bibi, this is the case. In her existing, living and believing she has grown, worked, loved, walked and breathed her way into being a minority, a Christian. This doesn't give her the right to escape the law of her community, far from it! It puts her right in the middle, in the spotlight, for you the judiciary to see. The judiciary has a special in every society's social and political structure. They represent no electorate and their conscience is neither auctionable for another term in office nor popular validation. The judiciary is high up there to spare because justice demands that they are spared the drama of popular politics and the literal application of the law. But also they are high up there to see the law not in terms of what the masses or the books want, but in terms of real life, scars that are still open, real injustices actual and imminent . They are high up there to see Asia Bibi, in the middle of her community's laws, Islamic Law. I'm in no place to tell you what Islam is or is not. But I can tell that 'justice' will vary from time to time, and life to life. 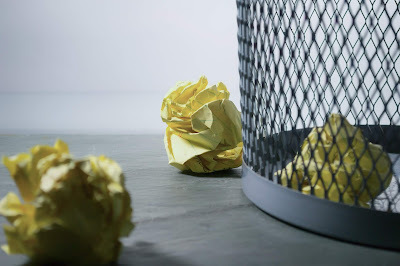 It is difficult to script, predict or control. I can imagine that you know this already. But unlike other political arms, what is justice or not justice is left for you the judiciary to decide, because you see things differently. Though you bear the lenses of history, culture and faith, you are not blinded by them. You more powerful than that. The judiciary is God's gift to a people that are unseen by the law and misunderstood by the community. The judiciary is a gift to and for its time. I have no moral justification to demand that Asia Bibi's walks free. But I do because I am connected to the only system in the world with the luxury of the right to be 'wrong' and the ability to change fates, save lives, even when everyone and everything else unjustly flashes bright red. I am connected to you, the judiciary. I know what being wrong and misunderstood feels like. But I have faith in your process. I have faith that justice in a global community like ours should, in as much as it means the festival of popularity, mean also a feast which serves the mighty and the little, the conforming and non-conforming, the Muslim and the Christian, and all those flagging the strips of the variety so that they are nourished on one day to return the next in gratitude, respect and devout citizenship. This time, the Pakistani judiciacry has the beacon, is Asia Bibi and the rest of the world to return to you, or are we to die tonight? Inshallah, God's wisdom shall write this history correctly for Asia Bibi, for us, through you. Let Asia Bibi walk free and she'll return tomorrow, inshallah.